With the gin boom showing no signs of abating, the breadth of high-quality liquids now available is astonishing – as our 2016 Gin Masters revealed. The great gin boom has well and truly taken hold. From the expanse of new brands entering the market to the seemingly unstoppable consumer interest in the category, gin stakeholders of all persuasions are riding a juniper-tinged wave of growth and opportunity. But will the ride continue, or as an industry are we reaching ‘peak gin’? 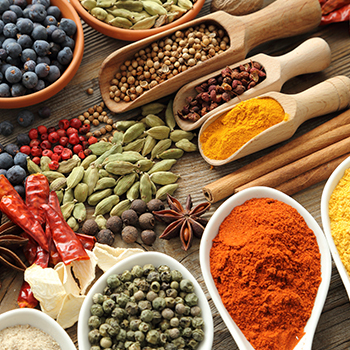 Euromonitor figures suggest not, forecasting volume gains of 11.8% over the next five years as brands seek out untapped markets around the globe. Whether or not the proliferation of ‘craft’ claims will continue many brands are tapping into the momentum and the breadth of product on offer is astonishing. It is against this backdrop that our panel of judges gathered at the Holborn Dining Room in London for our largest ever Gin Masters competition. As is the case for all Global Spirits Masters events, gins are tasted blind in flights and assessed on appearance, nose, palate and overall balance before being awarded Silver, Gold or Master medals based on stand-alone performance. 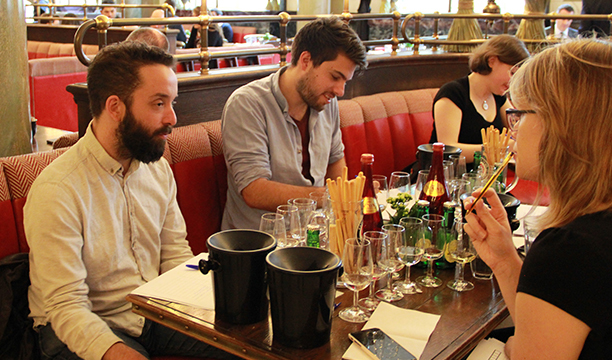 For the Gin Masters, Fentimans was on hand with a supply of tonics for additional tasting. First up, a panel chaired by David T Smith, independent spirits consultant, comprising Kirsty Chant, director of Chant Communications; Sam Mitchell, head bartender at Marriott County Hall Hotel London; and Cherry Constable, spirits judge and blogger at Cherry Drinks, tackled the first flight: Premium. Judges found some “good value spirits that would work well in a selection of mixed cocktails,” mused Mitchell, while others fell a little short. Three stood out and were rewarded with Silver medals, with Spirit of the Lakes’ Bedford Gin, The Welsh Whisky Company’s Penderyn Brecon Special Reserve Gin, and The Water Company’s Berry Pickers all deemed “great everyday choices”. 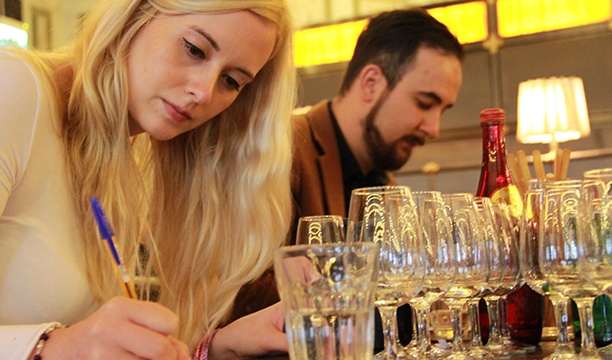 Meanwhile the category chaired by myself, Kristiane Sherry, The Spirits Business editor, along with Katie Rouse, brand ambassador, Crushed & Cubed, and Toby Sims, head of operations at Shaken Cocktails, tackled the first instalment of gins in the Super-Premium category. Due to the volume of entrants, Smith’s panel joined the flight, too. The category produced the first Master medal of the day, awarded to Treaty Oak Distilling Company’s Waterloo Gin, recognised for its “rosemary, lemon” nose and “lengthy finish with a perfect balance of sweetness”. “It’s very different from the rest of the gins on the market – consumers are looking for bolder brands,” praised Rouse. The flight also produced a raft of 13 Golds and 12 Silvers, leading Constable to praise the segment for its “variety in terms of flavour profile and greater desire to innovate”. While the Super Premium medal flurry rained down, the final panel, chaired by Melita Kiely, senior staff writer, The Spirits Business, joined by Nik Koster, director, Garnish Communications, Sara Smith, editor at summerfruitcup.com, and Ben Lindsay, founder and director, A World of Gin, got stuck into the first half of the Ultra Premium flight, later joined by my judging team. The stellar flight attracted 12 medals, including a whopping four Masters. The “superb, wonderfully balanced” Hernö Old Tom Gin led the charge, followed by its “rounded, very interesting” and “beautifully spiced” sibling, Hernö Juniper Cask Gin. Tasmania Distillery’s “astounding” Hobat No 4 Gin also joined the Masters club, as did “perfect G&T gin” Shortcross Gin, from Rademon Estate. 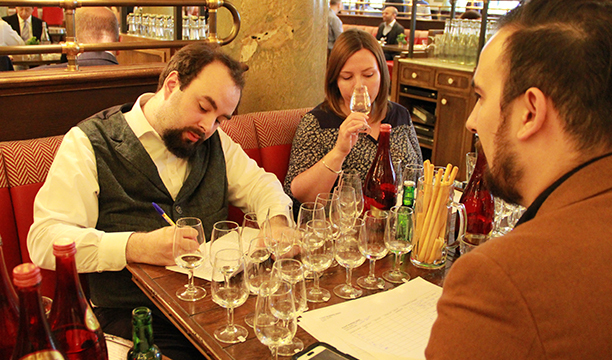 With the price segmented flights out of the way, Sherry and Kiely’s panels explored the London Dry flight, with gins produced to EU standards. A heavyweight category and a stalwart of a sector, the mammoth flight did not disappoint, attracting a total of 26 medals – the weightiest of the day – including three Masters. “Multilayered” and “deep-flavoured” Windspiel Premium Dry Gin, produced by Eifelion, was first to scoop the accolade, followed by East London Liquor Company’s Premium Batch No 1 Gin for its unusual “bittersweet, outdoorsy” quality, and ATOM Brands’ Origin from Klanac, Croatia, which was deemed “a perfect example of the category”. While for Koster there were a lot of “middle of the road” expressions, “if you scout around you can find some excellent gins within such a competitive category. The Masters and Golds we awarded are definitely worth finding – great flavours and well-balanced”. In the meantime, David T Smith’s team pressed on into a smaller, but no less impressive flight of Old Tom expressions. The lighter, sweeter style is making a comeback as consumers drill down into the depth and history of the wider category, and the examples tasted did not disappoint. Hernö Old Tom Gin continued the brand’s winning streak, deemed a “textbook Old Tom – rich and sweet” while remaining “classic and balanced” and duly scooping a Master. Likewise, Poetic License Old Tom Gin – “resinous” and “delicate” – was rewarded with the highest possible medal. “It’s great to see so many distillers embrace the forgotten spirit of Old Tom, and there was a good variety among a selection of high quality entries,” assessed David T Smith. For Mitchell, the category is “great for cocktails”, with the flight showing some “strong, well-balanced examples”. While harking back to the past, Old Tom looks set for a bright future. At the opposite end of the dateline my panel found the contemporary flight, a space created for the myriad new category entrants to showcase creativity and innovation. But despite the wealth of entrants, judges felt let down by the liquid showcased. “There was far more variety in the Ultra Premium flight than there was in contemporary – it was a little disappointing,” Sims felt. His thoughts were echoed by Rouse who added: “You’re looking for something different in this category. You can’t help but be disappointed when you’re just coming across the same again.” That said, judges found plenty to shout about in Gold medallist Hobart No 4 Gin, praised for its “orangey, burnt caramel, chocolate” nose, long finish and distinct profile. Similarly, Makar Glasgow Gin’s “fresh, vibrant” nose and “lemon and pine needles” palate was rewarded with a Gold, as was Four Pillars Rare Dry Gin, which offers a “cherry fruit nose” with “fresh spice to taste”. Another experimental flight followed, with my panel exploring the Microdistillery category. Again, with smaller producers valuing innovation and creativity, judges expected to find a wealth of diversity – and they were not disappointed. “It was all strong for me,” detailed Rouse. “I particularly liked Vibe New Western Style London Dry Gin – it had a great balance of grapefruit and spice.” Duly awarded a Gold, the expression opened the floodgates with another nine following, including two more medals for Hernö, Brighton Gin and Archie Rose Signature Dry Gin. “The quality was there throughout. Sometimes ‘microdistillery’ is a claim not backed up with quality, but these gins were all consistently good,” she added. Kiely’s panel then pressed on to the Organic category, an opportunity for producers to flex their creative muscles when it comes to raw materials. “I don’t think people look for ‘organic’ when they buy spirits; they look more for the quality of the spirit,” Koster said. “I don’t think people question production methods in gin.” If this lack of consumer education carries through, it’s essential the liquid stands up to scrutiny. And the flight excelled. “Though this was a small flight, it was probably the strongest we’ve tasted so far today in terms of quality and consistency,” Kiely detailed. Of the four gins representing, two were deemed Gold worthy, while the other two scooped Silvers. “Punchy, up-front” Hernö Export Strength and “interesting, earthy, very sweet” Hernö Old Tom both were rewarded with Golds, while Spirit of Hven Organic and Glendalough Wild Spring Botanical Gin were both bestowed with Silvers. While Kiely’s panel sipped on Organic, David T Smith’s team of tasters looked across the channel to a flight of Genevers, which again resulted in a medal rush. Master-winning Hooghoudt Distillers’ De Borgen Cornwyn kicked off the proceedings and was awarded the accolade for its “appley, cider, floral nose”, “silky texture”, and “fruity and malty base”. Meanwhile, sibling Genevers Holland Gin and Before Gin, plus By the Dutch Old Genever, all scooped Golds. 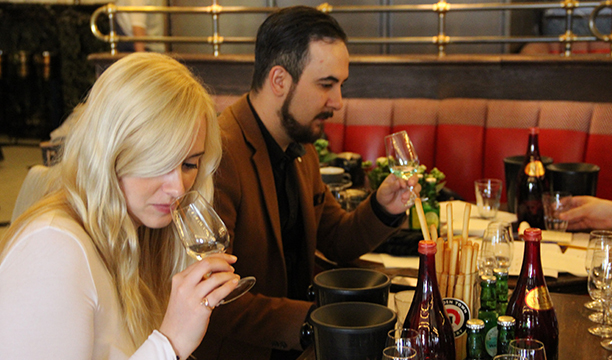 Sticking with the fuller flavours, the panel then delved into the world of cask-aged gins, another segment attracting fervent consumer attention. “As a fan of whisky I find it interesting to see how different products embrace different amounts of wood,” mused Chant. And indeed, in the past inconsistencies have emerged through hit-and-miss maturation. No fear here, however, with the flight attracting medals from across the spectrum. The “rich, deep smoky tones” and “sweet honey” notes in Tom Cat Barrel Aged Gin saw the expression rewarded with a Master, swiftly followed up with six Golds, with Blackwater Juniper Cask and Koskue gins included in the group. “While there are some similarities in the qualities that make a good whisky and a good aged gin, the botanicals add a whole new complication that can be tricky to get right, but when it works, it’s excellent,” Constable reckoned. David T Smith surmised: “Aged gin has come on leaps and bounds in recent years, with lots of innovation and distillers looking beyond the old standard of ex-Bourbon barrels.” A win-win indeed for fans of both gin and whisky categories. A flight full of cask-influenced flavour was swiftly followed by an uptick in abv – the Navy Strength gins had arrived. But while the samples on show packed a punch, they also delivered on aroma, flavour and, crucially balance, with another treasure trove of medals awarded. Leading the pack was Four Pillars Navy Strength Gin, awarded a Master for its “orange blossom” nose, “malty finish and really interesting array of flavours”. A glittering array then picked up Golds: Hernö Navy Strength Gin, Spirit of Hven Organic Navy Strength Gin, Strathearn Oaked Highland Distillery Strength, Strathearn Juniper Gin Distillery Strength, and Bathtub Gin Cask-Aged Navy Strength. Judges pressed on into the realm of sweetness for the final two flights of the day. Kiely’s panel got their taste buds round a small but perfectly formed flight of sloe gins, with one in particular really impressing. “I thought every aspect of Foxdenton Sloe Gin was near perfect,” Sara Smith exclaimed, with the panel awarding a Master. “Complex, easy to drink and not sickly sweet – it was an exceptional sloe gin.” In addition, Hernö Sloe Gin added another Gold to the brand’s tally, while 6 O’Clock Sloe Gin and Bathtub Gin both picked up Silvers. The final flight of the day, Flavoured Gins, was split between Kiely’s panel and my own, the size reflecting the push into the sector as consumer thirst for newness remains unquenched. While the overall impression was mixed – perhaps inevitable as the sub-category finds its feet – judges did unearth some gems. In total, seven medals were awarded including five Golds, one each to Barr Hill Gin, Slingsby Rhubarb Gin, Pink Royal, Gold 999.9 and Poetic License Picnic Gin. “I think the category is getting stronger as producers realise subtle, real flavours – as evidenced in Poetic License Picnic Gin – are better to work with than huge hits of sugar and artificial flavourings,” Sims evaluated. All in all, judges were delighted by the breadth and quality of liquid sampled on the day. “Gin is a category that has gone from strength-to-strength over the last few years. The vast number of medals awarded today from all different styles just goes to show how far gin has come,” Kiely summed up.